An aristocratic young woman leaves the sheltered world of London to find adventure, passion, and independence in 1920s Paris in this mesmerizing story from the USA Today and internationally bestselling author of Somewhere in France and After the War is Over. Spring, 1924 Recovering from a broken wartime engagement and a serious illness that left her near death, Lady Helena Montagu-Douglas-Parr vows that for once she will live life on her own terms. Breaking free from the stifling social constraints of the aristocratic society in which she was raised, she travels to France to stay with her free spirited aunt. For one year, she will simply be Miss Parr. She will explore the picturesque streets of Paris, meet people who know nothing of her past—and pursue her dream of becoming an artist. A few years after the Great War’s end, the City of Light is a bohemian paradise teeming with actors, painters, writers, and a lively coterie of American expatriates who welcome Helena into their romantic and exciting circle. Among them is Sam Howard, an irascible and infuriatingly honest correspondent for the Chicago Tribune. Dangerously attractive and deeply scarred by the horror and carnage of the war, Sam is unlike any man she has ever encountered. He calls her Ellie, sees her as no one has before, and offers her a glimpse of a future that is both irresistible and impossible. As Paris rises phoenix-like from the ashes of the Great War, so too does Helena. Though she’s shed her old self, she’s still uncertain of what she will become and where she belongs. But is she strong enough to completely let go of the past and follow her heart, no matter where it leads her? 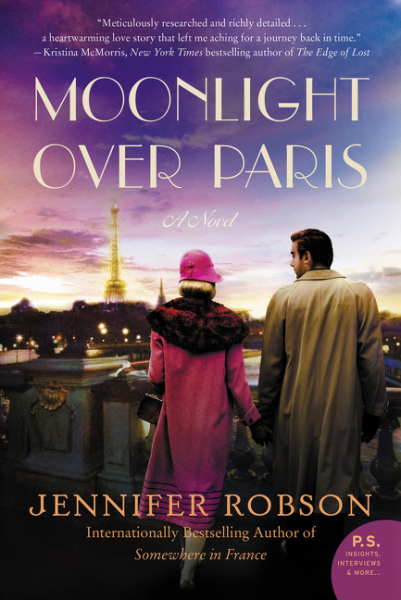 Artfully capturing the Lost Generation and their enchanting city, Moonlight Over Paris is the spellbinding story of one young woman’s journey to find herself, and claim the life—and love—she truly wants. Jennifer Robson first learned about the Great War from her father, acclaimed historian Stuart Robson, and later served as an official guide at the Canadian National War Memorial at Vimy Ridge, France. 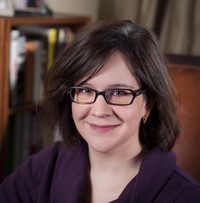 A former copy editor, she holds a doctorate in British economic and social history from the University of Oxford. She lives in Toronto, Canada, with her husband and young children. For more information visit Jennifer Robson's website. You can also find her on Facebook, Twitter, Pinterest, and Goodreads.